Posted on October 12, 2018 at 3:05 pm. 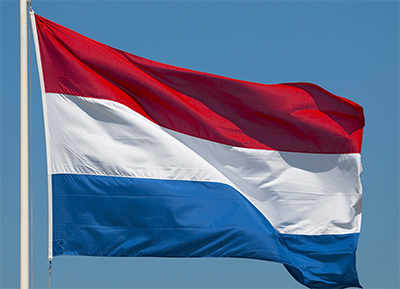 Jan Suyver, the former chairman of Kansspelautoriteit (KSA) Netherlands’ gambling regulatory authority has criticised the Dutch government for its snail pace in introducing online gambling reform. Suyver left office October 1, alongside his vice-chairman Henk Kesler after six years of service in their respective positions. They were replaced with René Jansen as chairman and Bernadette van Buchem as vice chairman. Recounting on their term of office, the two outgoing officers said the Dutch government since 2012, asked the KSA to brace up for the liberalisation of the online gambling market with the passage of the Remote Gambling bill into law but almost nothing was done to achieve it throughout their term of office. Suyver partly blamed influencers including the Christian Union and Christian Democratic Appeal for the delay as they previously blocked the passage of the Remote Gambling Bill in the Dutch legislature’s lower house. Despite accepting that online gambling was a “complicated, ideological dossier” on which the various parties held diverse views, Suyver said it was childish to be against regulating the industry even if you held anti-views. “Even though you are against gambling, that cannot be a reason not to regulate it. Rather, on the contrary, I would say,” he said. He said legislators have the moral obligation to ensure the passage of the Remote Gambling Bill to ensure gamblers in the country have the consumer protections under the new regime.